Do you have plans for your summer break? How about spending five weeks at Peking University in Beijing, China while working on a project for an Aotearoa New Zealand organisation and earning credit at the same time? Applications close on Tuesday 31 July so get in quick! The programme is open to undergraduate students from ANY degree. 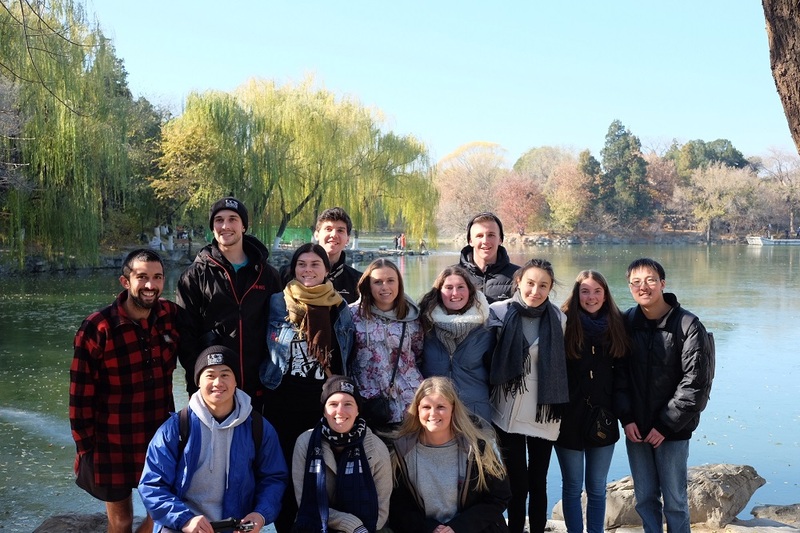 This five-week programme organised in collaboration with Peking University provides an opportunity for 14 students to explore Beijing while working on a project for an Aotearoa New Zealand organisation. You will be living near Peking University in the centre of Beijing. This combined with your project as well as language, history and culture classes and exciting day trips in and around Beijing will enable you to gain a unique insight into another culture. The programme is funded by the Prime Minister’s Scholarship for Asia (PMSA). This means that we can offer the programme at a heavily subsidised fee of $1500(NZD). This includes flights, accommodation, meals, activities and day trips in and around Beijing, airport transfers, travel insurance and your Chinese visa. The programme will run from Friday 16 November to Sunday 23 December, 2018. Three months ago I was sitting outside Tiananmen Square at midnight, bonding with a chain-smoking military guard over the song Africa by Toto, and I wondered – how did I get here? 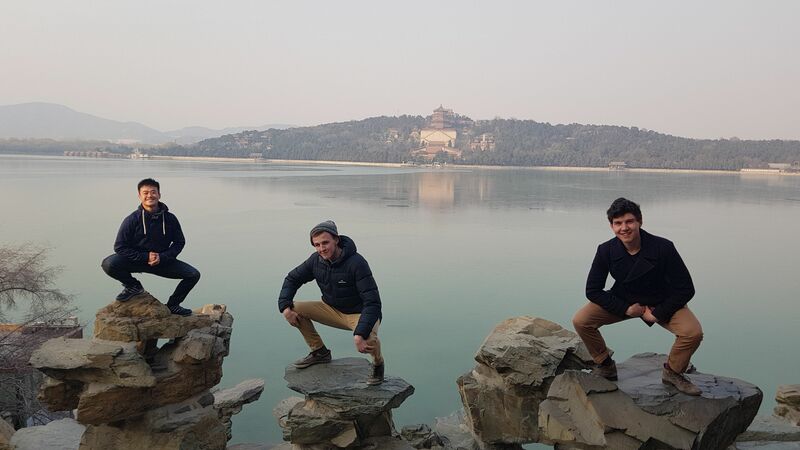 While this realm of existentialism is probably best left to Jaden Smith, (and the puns left to actually funny human beings), the specific case of ending up in China was a result of the absolutely primo opportunity offered by UC to take part in a six-week summer programme at Peking University, Beijing. I was lucky enough to be (definitely by accident) selected for this. Aside from living in a totally different world, the opportunities on this programme are endless. We (attempted) to learn Mandarin, were taken to many traditional ceremonies, got involved with the expat community, worked on research for Chinese/New Zealand immigration, spent 3 days in Guangzhou meeting students, and heard some of the most phenomenally weird and wonderful stories of China’s history in daily classes at Peking. Additionally, I got to risk my life every morning; one commutes to campus by bike. Nick shares his experience at Peking University, Beijing as part of the Summer Programme. I had the most incredible three weeks in China at the end of 2016, and I am forever grateful that I was able to participate in the Peking University Summer Programme. I strongly believe that three weeks of summer school overseas can teach more life skills than an entire year in the classroom. For the duration of our programme we were based on campus at Peking University, where we were constantly amazed by what the campus had to offer. Upon our arrival on campus we were greeted by a Colour Run that spanned the campus and showed just how picturesque Peking University is in winter. On campus we attended various workshops and seminars in Peking’s School of Foreign Languages, which were both informative and culturally enriching. I was also able to meet a bunch of international law students and attend classes with them, giving me insight into life on campus for an international student. Beyond the campus, we were provided with many opportunities to soak up the rich history and culture of Beijing, allowing us to put our classroom knowledge into perspective. One of the highlights of my trip was visiting the Great Wall of China. It is one of those things that the pictures can’t do it justice: you really have to experience it to understand just how incredible it is. I also thoroughly enjoyed exploring the city in my down time, which is where I felt I developed an understanding of the heart of Beijing. Personal highlights of my exploring include: navigating the subway system, ordering hot pot in a hutong street alley, discovering hidden markets, and taking a bullet train to Tianjin. It is these experiences that undoubtedly broadened my horizons and taught me many important life skills. China is an incredible country, and I’m eager to return in the future. I can’t recommend the programme enough to anyone who is thinking about applying, as it has hands down been the highlight of my university experience so far.